For over a decade, LUXCESS Home by SOD Builders has helped create ideal living spaces to accommodate and enhance our customers’ lifestyles. Whether it’s a chef’s kitchen, a master bedroom suite, a mudroom, luxurious offices or an art studio, we can create functional, inviting spaces that meet the needs of your everyday life.We are your one-call solution for a wide range of home maintenance and remodeling. Our exclusively in-house team includes every professional that you may need, including architects, general contractors, and interior designers to construct your dream from the foundation to the finishing interior design work. Now, we could tell you that we’re always “on time and on budget.” But so will everyone else. We’d rather tell you about how we listen to what you want and need in order to make your home or your business a true reflection of you. You’ll also find that we are big on communication and we explain each step of the project, from beginning to end. We’re easy to work with, we clean up meticulously every day, and we keep construction disruptions to a minimum. Most importantly, we make sure that all of our clients are highly satisfied with the results, and for us, that often translates into customers for life. LUXCESS Home by SOD Builders team are highly skilled craftsmen with an average of 10 years’ experience in the trades. 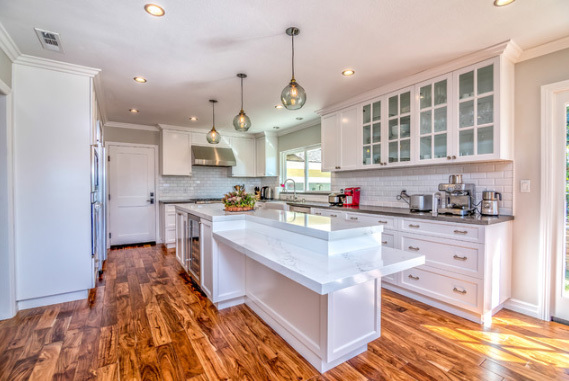 We’re home remodeling, design and improvement experts, and we are known for the quality of our workmanship and professional reliability, so you know the job will be done correctly and efficiently on the first visit.